Dele Sosimi is musical director of the critically acclaimed Fela! at London’s National Theatre, and Band on the Wall is thrilled to announce that he’ll be performing on our stage with his very own Afrobeat Orchestra. 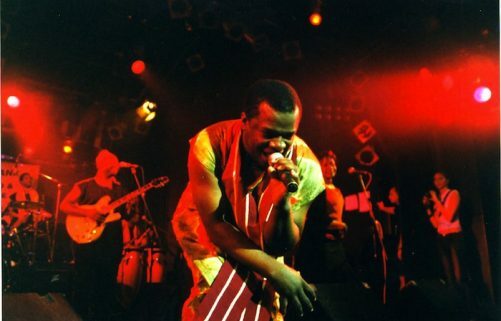 From his early discovery as a 16 year old keyboardist by world-famous Fela Kuti, who brought him into his band Egypt 80, Dele rose to prominence as musical director of the 30 piece band during the 80’s and 90’s. Whilst at the helm he hatched a plan for a new more aggressive sound, featuring shorter songs and tighter arrangements with Fela’s son Femi Kuti. The result was the band Positive Force, with whom he toured globally for a decade, honing his craft and exploring all the richness of this amazing music. Following the live performance, Irfan Rainy will be on the decks for a special DJ set ’til late.